THE 2018 elections have proved to be a mixed bag for the religious right. While the vote bank of the mainstream Islamic parties has shrunk, the strong showing of a newly formed radical group has led to jitters. Although it has failed to win even a single seat in the newly elected National Assembly, the Tehreek-i-Labbaik Pakistan (TLP) has emerged as the fifth largest group in terms of vote share, and is nominally behind the MMA which itself is an alliance of the mainstream Islamic parties. Indeed, the growing electoral support for the extremist outfit whose politics is based on animus against other religious groups and that justifies violence in the name of faith is worrisome; yet it is not likely to change the power matrix in the country. The rout of the top leadership of the MMA came as a huge surprise in the elections, and so has the expansion of the TLP’s popular base. There may or may not be any correlation between those two developments; still, the spectacular rise of a radical Barelvi movement has given a new and dangerous twist to the issue of religion and politics in the country. It may be indicative of disenchanted voters of the mainstream Islamic parties leaning towards extremist groups with a stronger bias against adherents of other religious beliefs. Although they remain on the fringes of power politics, religious groups in the country continue to wield more influence than their electoral support base indicates. The combined share of the vote for the religious parties, mainstream or otherwise, however, remains below nine per cent. It was significantly lower than the over 11pc achieved by the MMA during its remarkable success in the 2002 general elections when for the first time in Pakistan’s history the religious parties had managed to lead a provincial government. Their triumph, however, was largely limited to one province, Khyber Pakhtunkhwa. While also losing ground in its stronghold, the mainstream Islamic coalition seems to have been completely wiped out in Punjab and Sindh where the TLP has made significant inroads. That also raises the question of whether the TLP electoral gain has largely been at the expense of relatively moderate Islamic parties like the Jamaat-i-Islami and the JUI-F. The spectacular rise of the TLP over the past year has changed the dynamics of religious politics in the country. Traditionally, the JI, in particular, has had a significant vote bank in the two provinces. This time, it was perhaps the worst electoral performance by the party that has long been the face of political Islam in the country. Most shocking has been the humiliation suffered by the religious parties’ coalition in KP where the entire top leadership comes from. Its resurrection has raised the prospect that the MMA would at least present a formidable challenge to the PTI juggernaut. But that did not happen. There have been several factors contributing to the defeat. It was evident that both the JI and the JUI-F which remained in opposite camps for the past five years had lost much credibility in KP. It was mainly an alliance of expediency to prevent the division of the religious vote that had cost the two parties in the 2013 elections. Moreover, there was nothing new the alliance could offer to the electorate to counter the PTI’s overwhelming support in KP. The slogan of Islam was not enough to win public support. Meanwhile, the spectacular rise of the TLP over the past one year has changed the dynamics of religious politics in the country. In fact, it is a movement rather than a well-knit and organised political party born out of the execution of Mumtaz Qadri, the murderer of former Punjab governor Salmaan Taseer. It has also been an assertion of Barelvi radicalism against Wahabi and Salafi groups. 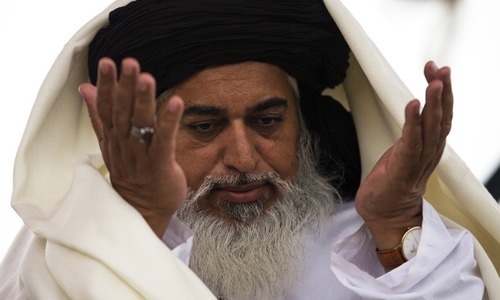 Led by firebrand cleric Khadim Hussain Rizvi, the TLP used the blasphemy issue to whip up religious sentiments both in the urban and rural areas. It was given further impetus during a two-week siege of Islamabad. The virtual surrender of the state emboldened the group. The clerics were also encouraged by the widening civil-military divide. The group showed its electoral prowess for the first time in the by-election for NA-120 in Lahore last year by getting a significant number of votes, more than the JI candidate. Its growing electoral appeal was also witnessed in the Peshawar and Bhakkar by-elections. Yet the TLP’s performance in the general elections across Punjab and Karachi was beyond expectation. 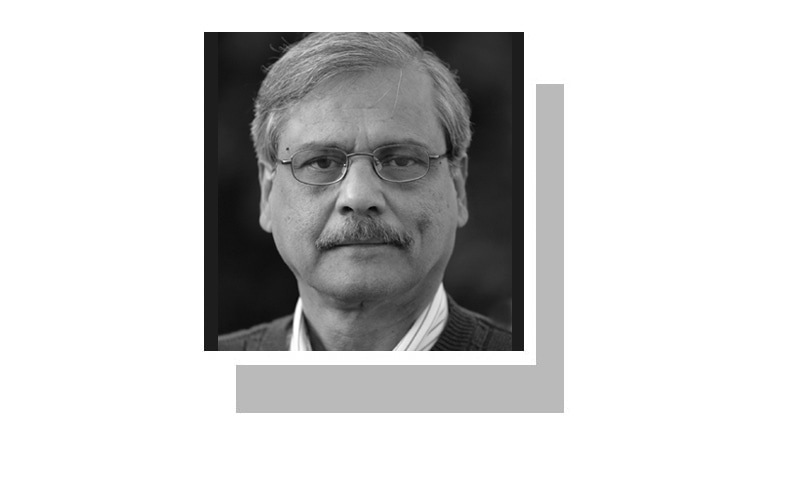 It had put up candidates in almost all the constituencies of the national and provincial (Punjab) assemblies, eating not only into the vote bank of JI but also of the PML-N that had traditionally enjoyed the Barelvi vote. 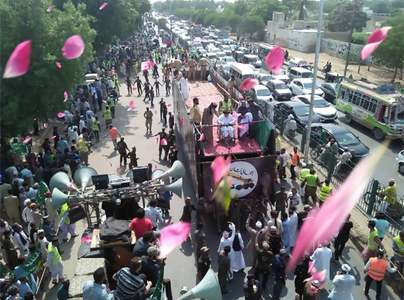 Surprisingly, the TLP’s biggest success came from Karachi where it won two provincial seats and came very close to winning a National Assembly seat. The party seems to have received support from followers of groups like the JUP that has traditionally had a significant vote bank in the metropolis. The disintegration of the MQM and the gap thus created also helped the TLP make inroads. It was most intriguing how the Election Commission registered a party with a sectarian/communal base and that preached extremism and violence, and then allowed it to participate in the elections. It gets more and more bizarre as even Pemra had banned the telecast of TLP rallies because of the vitriolic speeches of its leaders. How come the two state agencies have different laws applied to a such a group? Similarly, some banned militant outfits were also allowed to participate in the election under new banners in violation of the law. This is more than a policy of appeasement and has raised questions of tacit backing from some state institutions. Radical groups deal a serious blow to the nation’s struggle against extremism and militant violence. The TLP may not have a concrete programme for it to be a formidable electoral force in the long term. But allowing such groups to operate freely and participate in elections could be disastrous. It remains to be seen how the new PTI administration deals with this scourge of extremism. Given its soft stance towards the religious right, fears are that such groups may get greater space. Great analysis, it's food for thought for those in the corridors of power. TLP's rise is a shocking development. It is surprising that the party was allowed to contest elections. The ECP should be held accountable for this move. Even more surprising is the fact that other political parties, especially those claiming to be secular or broad-minded did not protest TLP's contesting election. With extremism reaching new heights in the country as is obvious from TLP's success, what good can be expected in the future. These religious political parties may have garnered just 11% of the vote which in itself is not scary, what is scary is their ability to bring this entire support base on to the streets in protest, as and when required. Having taken recourse to using religion as a tool in politics and Government, the State is stuck in Quicksand from which there is no escape. Not learning lessons from history means it will be repeated. could not agree more with the writer. there is no role for religion in politics. and there should be no politics in religion. let religion deal with spiritual matters and politics deal with governance. west realized it and made significant progress. wherever religion rules, life has become miserable. religion has a role to play in individual life but not ruling. Use of religion as a political tool needs to be outlawed. Myopic analysis, If they are citizens of Pakistan, they are to be allowed in politics, instead of shunning out a segment of society they have to be mainstreamed, to avoid violence on street. Under no circumstances, religious parties can run the government anywhere in the world. Their minds are one sided. They hate western progress. They force people not to take polio vaccinations, they do not want ladies to get educations. They believe in male dominated society. major aim of backing TLP was to eat into PMLN votes and it did the job, it costed pmln about 13 NA seats. It is ironic that people who do not believe in democracy want to govern one. Religion, politics, guns and drugs don't mix. The way TLP attracted Barelvi and lower, middle class voters all over the Pakistan, especially in Karachi, shows that this party will perform even better in the next elections under strong administration of Rizvi, unless stopped. Hate has a Great Market in Pakistan hence it is Sold by Everybody in the name of religion. Easy! The silver lining is that offshoots of Jihadi organisations did not get anything worthwhile ! TlP was required to dent the.votes of PMLN in addition to all,the other measures . It not only succeeded but exceeded in expectations . This asset would go head south without their support . This organisation needs to be banned . A scary thought, indeed. Naya Pakistan will come into existence when state institutions stop working against one another and start building Pakistan as a unified force. This is the only way extremism and religious extremists will be wiped out. "The Other" has no right to a different opinion in Pakistan.